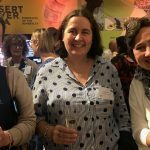 Literacy beginners and strugglers are often given high-frequency words to rote memorise, drawing them from the Oxford, Magic, Dolch, Fry or some other high-frequency word list. These lists treat written words as things to be visually memorised, rather than sounded out. They work from most to least common words without regard to spelling complexity or word structure, and include a mixture of simple, more complex and unusual spellings. Teaching high-frequency words in order of frequency reinforces the impression children get from reading repetitive texts that English spelling is a dog’s breakfast, by obscuring rather than illuminating the spelling patterns. Visually memorising regularly-spelt words is also highly inefficient, and can give children with weak awareness of sounds in words the idea that written words are lumpy wholes without reusable component parts. I agree that frequency matters, but it’s not more important than complexity. As early as possible, children need to get into the habit of pulling new words apart and putting them back together, and understanding how the parts work. 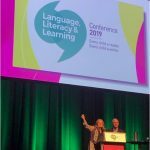 To me, this means that words’ building blocks – sounds, spellings and at least grammatical suffixes – should be considered when deciding the order in which any high-frequency word lists are taught. If a child knows “i” as in “sit”, “a” as in “hat”, “o” as in “not” and “t” as in “top”, and knows how to segment and blend two and three-sound words, then she or he can read and write the words “in”, “an”, “on”, “at”, “it” and “not”, as well as less frequent words like “tan”, “tin” and “nit”. There’s no need to memorise any of them visually, but if this is what schools are asking children to do, these little words should be learnt sooner rather than later. 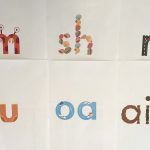 After children have sounded such words out a number of times in the course of early reading and writing activities, they build Mental Orthographic Images of these words, and can recognise them on sight, so they don’t have to sound them out any more when reading. However, sounding words out continues to be very helpful for quite a while when spelling, as any parent of a good visual memoriser inclined to write “no” instead of “on” can tell you. High-frequency word lists also contain many words with shared sound-letter relationships and/or syllable types, such as “be”, “me”, “she”, “he” and “we”, but they’re not taught together. “Be” might be on the first list to be memorised, “he” and “we” on the second one, “me” on the third one and “she” on the fourth one. Teaching at least some of these words together would help children learn not just the words themselves but also the patterns they share. 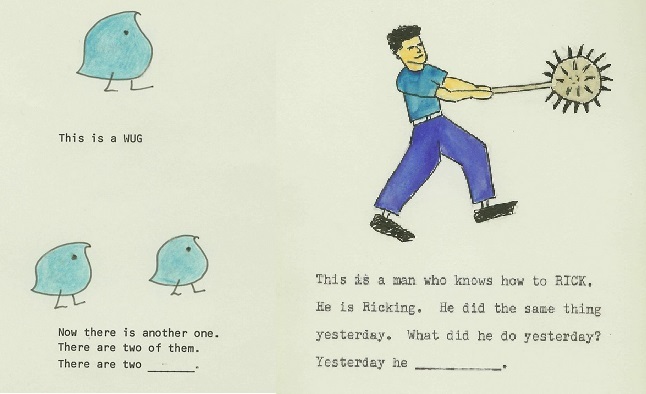 If you contrast “be”, “he” and “we” with words like “bed”, “hen” and “wet”, you can teach children that a vowel letter at the end of a word/syllable typically represents a different sound from when it’s in the middle of a word/syllable (compare the vowels in “ha” and “hat”, “be” and “bed”, “hi” and “hit”, “no” and “not” and “flu” and “flush”). This is an extremely useful thing to know for spelling, especially in words of more than one syllable. I’d also teach the word “the” with “be”, “he”, “we”, “me” and “she”, click here for an earlier blog post about why. 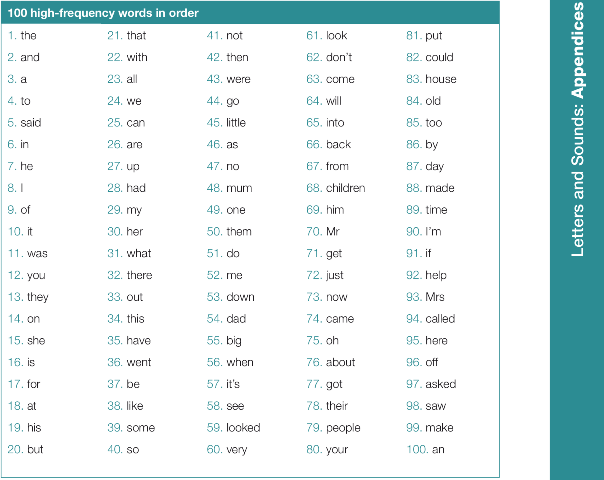 High-frequency word lists also tend to contain the same word two or more times with different grammatical suffixes (see this earlier blog post for more information about word parts in English). For example, the Australian Oxford Wordlist contains “like” and “liked”, “walk”, “walked” and “walking”, “play”, “played” and “playing”, “friend” and “friends”, “cousin”, “cousins” and “cousin’s”, “football” and “footy”. It contains “called”, “lived” and “watched” but not “call”, “live” or “watch”. Go figure. To me, this simply doesn’t pass the Wug Test, which in the 1950s demonstrated that preschoolers can and do internalise and apply grammatical patterns. Asking school-aged children to memorise “play”, “played” and “playing” as separate items treats them like rote-learning automatons, when in fact (unless they have significant language difficulties), they are already capable users of past and progressive tenses, plurals and many other suffixes. Often these related words are miles apart on the lists, so the link between them is obscured. It makes a lot more sense from a language point of view to teach them together. If a school requires that such words all appear as separate items on high-frequency word lists, at least they should be grouped in a way that clarifies rather than obscures their relationships and structure. Many words appear on every high-frequency word list. Differences in list content relate to how and when each list was made up, as well as how many words each list contains. 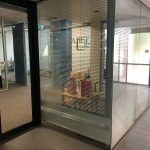 For example, the Australian version of the Oxford wordlist contains 307 words and draws on frequency counts done in 2007 on 4000 samples of written work by Australian children in their first three years of school. It includes words like “computer”, “TV” and “OK” which don’t appear on older lists. The Magic Words lists contain 300 words, though I can’t find any information on the website about exactly how or when these lists were made up (maybe I need glasses for my glasses), but most schools seem to focus on the first 100 of these words. There are a number of others, the above screenshot is from the UK Letters and Sounds program. Once children know the letters/spellings involved, high-frequency words which share a sound-spelling pattern (like “me”, “be”, “he”, “we”, “she” and “the”) should be taught together. I, is, it, if, me, the, as, at, am, my, by. in, did, can, had, his, has, him, on, an, not, big, got, dad, dog. to, do, who, into, was, want, watch, watched, get, bed, be, he, we, she. of, are, but, too, or, for, her, up, fun, mum, day, say, play, played, Sunday, Saturday. a, all, call, called, so, no, go, over, sister, off, well, will, ate, came, cake, gave, made, make, name, little. and, went, just, must, lots, next, have, give, live, lived, one, once, some, come, done, said, again, saw, two (teach with “twin”), you, your, like, time, now, down, out, our, house, about, first, birthday, here. that, they, them, this, then, there, where, with, back, when, what, which, much, going, after, were, car, park, week, weekend. night, right, more, before, new, bought, home, school, because, friends, only, very, their, could, would, should, other, brother, mother. Children studying these words in this order could have these patterns reinforced by reading the Little Learners Love Literacy books, either as paper books or the first five sets are available as iPad apps. 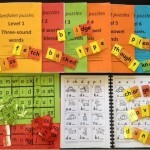 There are lots of other Little Learners teaching resources such as workbooks and games which also match these levels. I’m hoping that parents of young struggling readers who are being asked to learn high-frequency words will be able to negotiate through the ILP process for these words to be studied in groups with shared sound-spelling patterns, and to read decodable books like these instead of predictable/repetitive texts. Of course the exact teaching sequence in decodable book series varies, so a little sorting work is needed to decide which high-frequency words to learn with which stages. Below are some general groupings of words that appear on one or more widely-used high-frequency word list, in groups with similar word structure, sounds and/or spelling pattern(s). I hope this list will help with reorganising high-frequency words so that they help clarify, rather than obscure, spelling patterns. 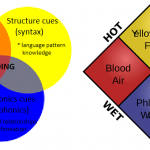 2018 Postscript: Phonic Books now has a chart of 300 high-frequency words grouped by spelling pattern/sound. 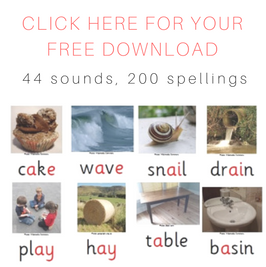 This entry was posted in phonics activities, sound-letter links, teaching strategies, word attack on August 26, 2015 by alison. Liz, thanks for the lovely feedback, great to hear your learners are doing well, and I really like your analogy about the PIN numbers. Precisely. Let’s have some order in the chaos. Alison, I am teaching Grade 3/4 this year and they have already learnt the first 200 words. I’m not quite sure where to start with your list- do I need to compare lists and cross out the ones from the first 200 list, or has any kind person reading this already done so to save me the time? Another question…is there any research that explains why children reverse their letters/numbers? Certainly not related to intelligence, nor is it definitely a sign of dyslexia as previously thought, though it can be. Perhaps you have already covered this somewhere on your extensive website? Hi Jude, yes, this is pretty well understood. The part of the brain we hijack when learning to read to use as the visual word form area evolved for the recognition of faces and objects. When I look at you, or a cup, or a chair from one side, what I see is quite different from when I look from the other side. However our brain has evolved to override this and is able to recognise the same person or thing, so that if I meet you from the left-hand-side I still know you’re the same person when I next see you from the right-hand side. When we learn to read we have to override this override, and learn to “see” letters like p, b, q and d as different things, and that’s difficult and takes time. Kids still occasionally reverse letters well into their primary schooling, and it’s nothing to panic about. Being able to form the letters quickly and consistently in handwriting seems to help consolidate them mentally as separate things. I have been looking for this information to help my English language learners be more successful in learning the sight words or high frequency sight words, Thank you this will help.